Last week, another new study raised additional questions about the factors that lead to autism among youth. The study, published in the journal Molecular Psychology, is the largest of its kind examining the relationship between parental age and autism. It includes more than 5.7 million children in five countries born between 1985 and 2004. 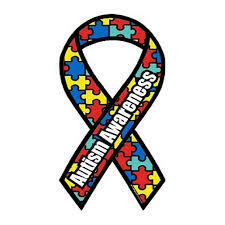 Across the world, approximately one in every 100 children develops an autism spectrum disorder. The study found that the risk of developing autism is more than 60 percent higher for children born to dads older than 50, compared with those born to dads in their 20s. Researchers also determined the autism risk is 15 percent higher for children born to mothers in their 40s, compared with those born to moms in their 20s. The risk was even greater when both parents were older. It’s commonly known that children born to older mothers are at increased risk of autism, but health professionals often don’t ask the father’s age during pre-natal screenings. A surprising finding is that autism rates were 18 percent higher among children born to teen moms than among kids born to moms in their 20s. Researchers don’t have an explanation for this trend. There could be a variety of factors at play. For example, teenage women’s reproductive systems are not fully mature. Younger moms are often poorer, which could affect their access to prenatal care or their nutrition during pregnancy. It’s hard to make sense of the evidence. The take-home message is that we still don’t understand many of the factors that contribute to the mental health of children. Much more research is needed to understand the factors that contribute to autism and other similar disorders.